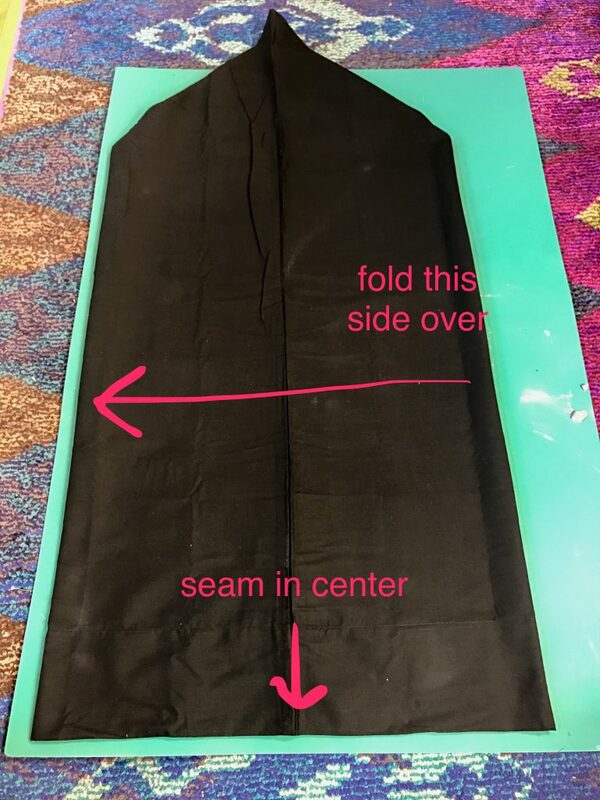 Open up the pillow case fold in half so that the side seam is now in the center of the pillowcase. This will create a point at the bottom. Smooth it out and flatten it. 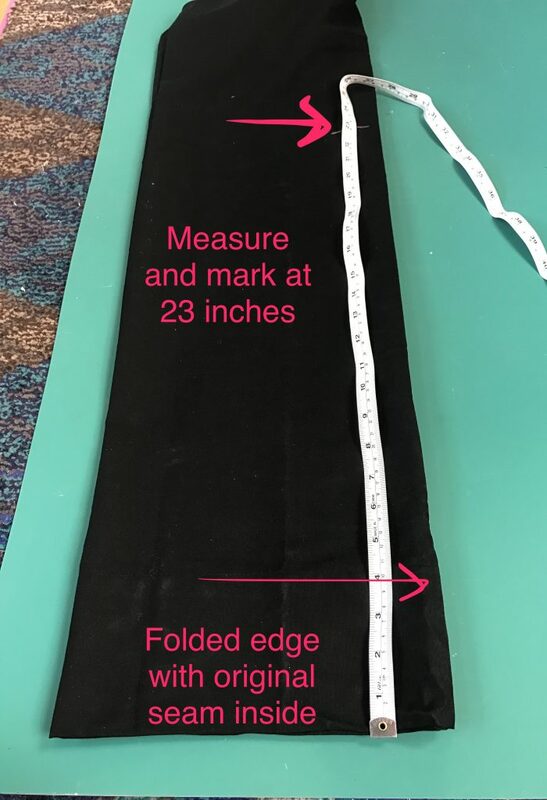 Measure out 23 inches from the top of the pillowcase. Mark in a few places. 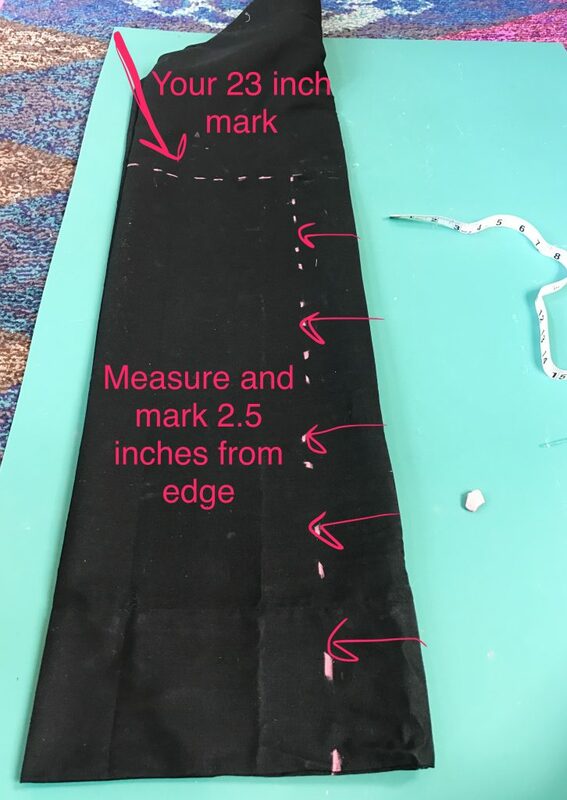 Measure 2.5 inches from the center fold all the way down to your 23 inch line. 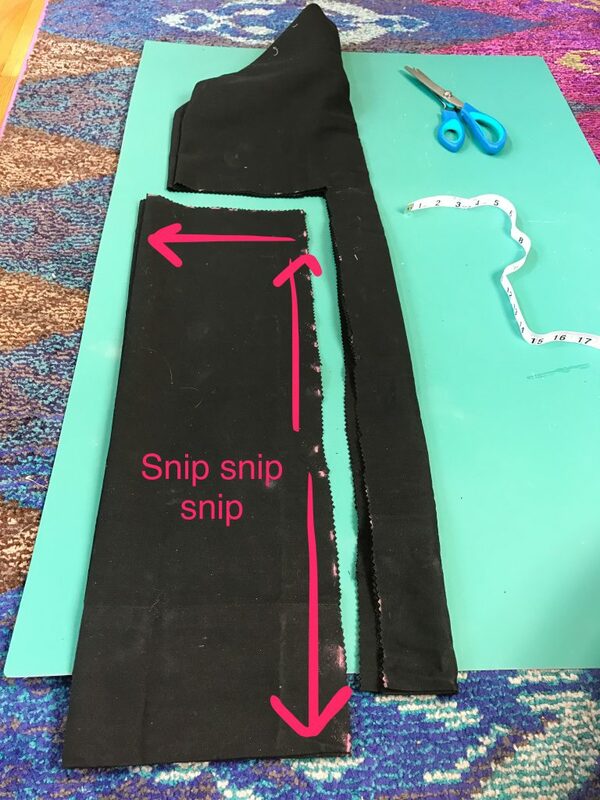 If you are keeping the edges raw then you’re done, but remember that some fraying will occur even when using the pinking shears. 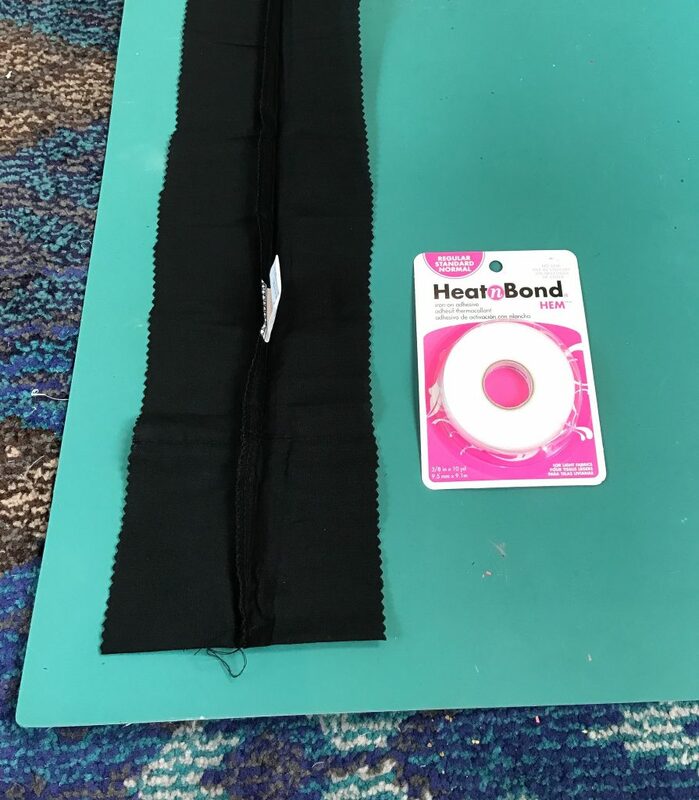 If you would like more of a finished edge, then grab your iron and HeatNBond hemming tape and get to work. 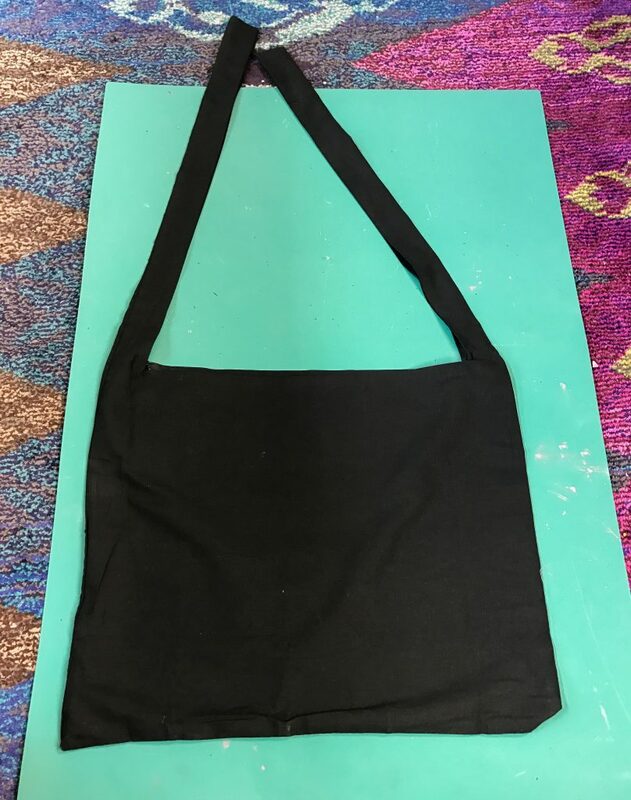 Turn your bag inside out and flatten out the straps. 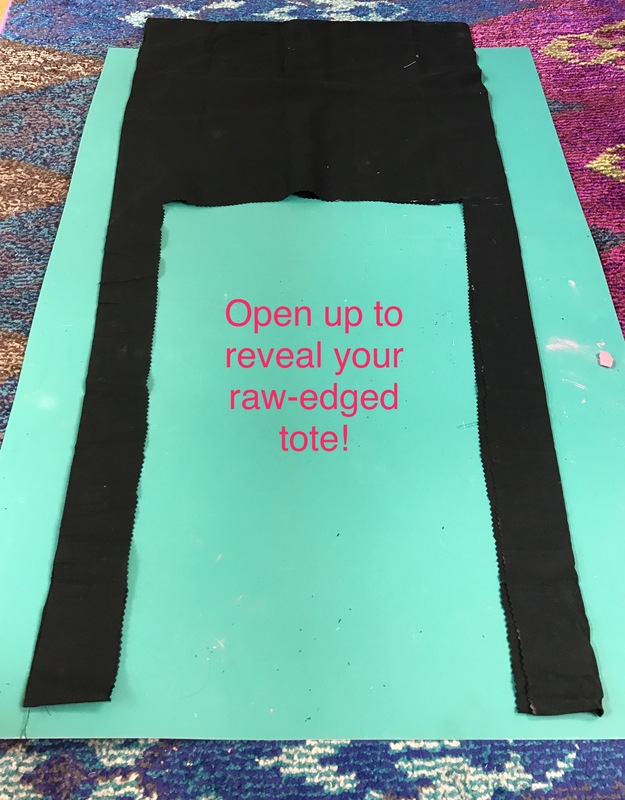 Fold the raw edge over 1/2 inch and iron the fold. 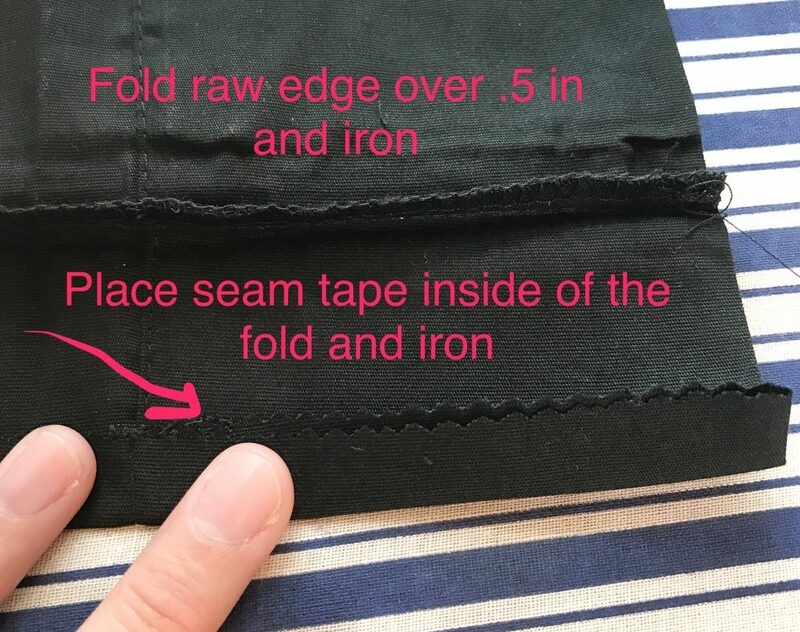 Rip off a section of the hemming tape and place it inside of the folded hem. 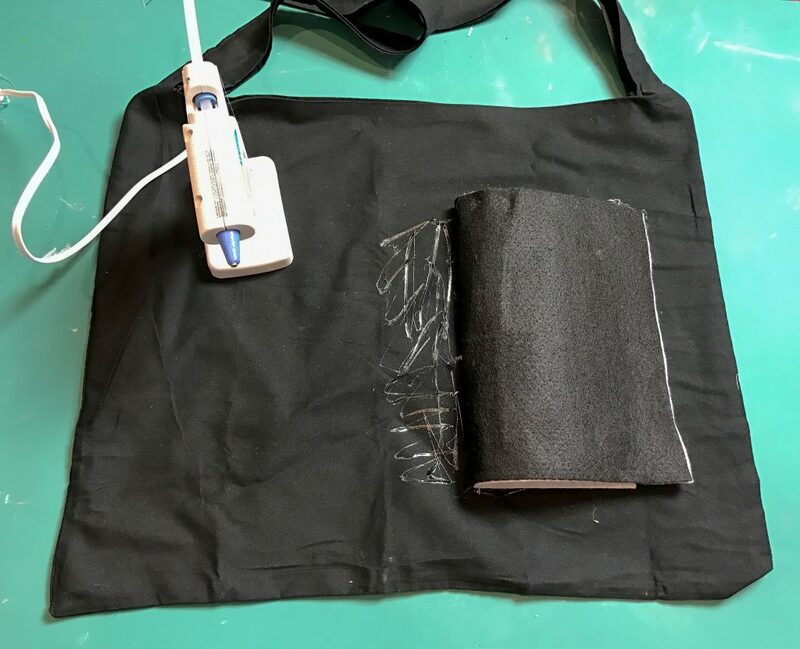 Press the fold down over the hemming tape and iron again to adhere the edge to the hemming tape. 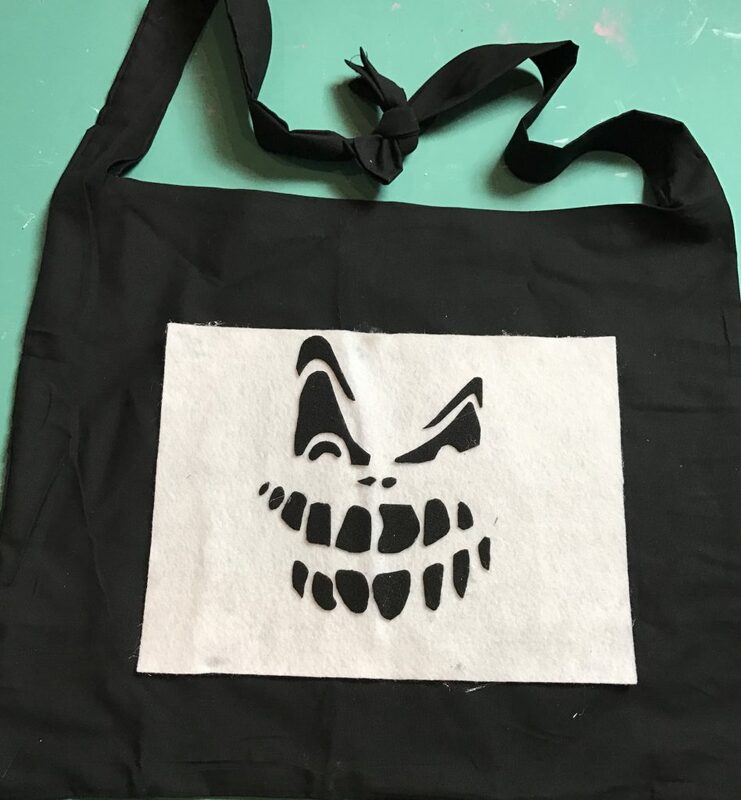 Continue this around all of the raw edges of the entire bag and both sides of the straps. 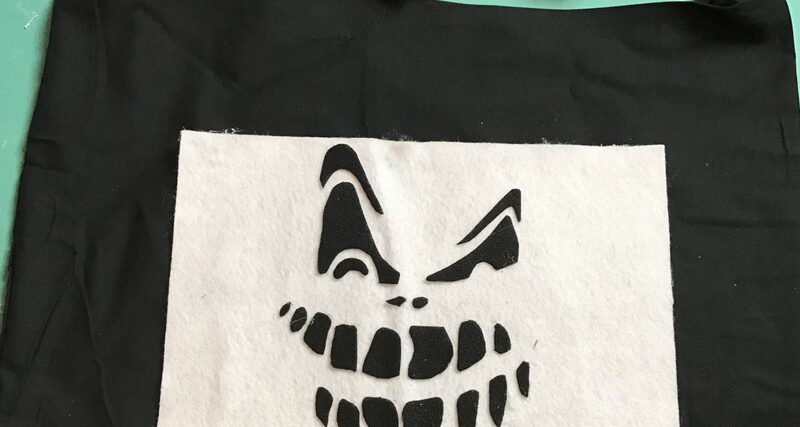 Now you can attach your DIY Halloween Treat Bag Glow Panel to the front using hot glue.